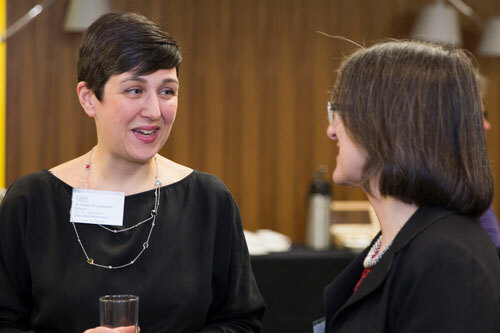 Dr Canan Kocabasoglu-Hillmer is the inaugural Director of the Cass Global Women’s Leadership Programme and an expert in operations and supply chain management. An advocate and champion of women throughout her career, Canan was appointed in January 2017 and leads the programme from London, working with the Council and Executive Board. The Cass Global Women’s Leadership Programme inspires, equips and connects women throughout their career – from undergraduate to postgraduate to alumni and beyond. It inspires by fostering ambition through events with stimulating speakers. It equips by helping women develop skills, competence and resilience, either through workshops or by offering financial support to study at Cass. And finally, it connects via networks, groups and communities supporting each other. In the first year of the programme four scholarships were awarded by the programme to Artis Kakonge (Modular Executive MBA, London), Kylie Poole (Executive MBA, London), Esra Baykal (Executive MBA, Dubai) and Renee Kroner (Full-time MBA, London). These scholarships were made possible by the generous support of the Coca-Cola Foundation. Serving as leaders within their respective programs, the Scholars develop and practice their leadership skills by coordinating leadership development events spanning across London, Dubai, Hong Kong, Beijing and New York. A recent event organised by Artis Kakonge examined essential skills for women in the workplace. Born in Istanbul, Turkey, Canan attended the Middle East Technical University in Ankara, a flagship institution in business administration. She earned her PhD at the University of Buffalo, State University of New York where her research focused on supplier relationship management. The Institute of Supply Management - the largest supply management organisation in the world - helped fund her dissertation, which investigated how organisations can work with their suppliers to improve their operational flexibility and supply chain agility. Canan’s academic career began at the University of Kansas as an assistant professor in Operations and Supply Chain Management. As a prominent supply chain hub, Kansas offered her access to current supply chain challenges and allowed her to investigate how effective supplier management could help organisations address these challenges. It was there that she became a member of the regional board of the Council of Supply Chain Management Professionals. It was also during this period when she served as the mentor for the American Business Women student chapter, which organised events to educate its members on the coping strategies for women against the challenges in the workplace. “My experience with that chapter and those ambitious undergraduate students at the beginning of their career instigated my lifelong commitment to the professional advancement of women,” she says. Canan joined Cass in 2008, drawn to it because of its reputation as a vibrant academic community and a diverse, global and inspirational educational institution. Together with Dr Amanda Goodall, Canan set up Cass Academic Women in 2014 to create a unified voice for women staff. She has also been involved with Cass Women in Business as a mentor. This student run organisation develops and delivers events, informing women about the opportunities and challenges of various sectors and preparing them for their professional roles. Canan says it was a natural next step for her to become the Director of Cass Global Women’s Leadership programme. Canan says it is exactly these women – perhaps women like you – that the programme seeks to target. The programme is now extending its scholarships to the undergraduate and MSc students. 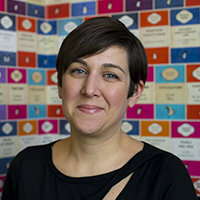 Canan is keen to encourage women to apply and suggests interested parties to keep an eye at the programme’s website for the next application deadlines. She says the programme offers valuable support and career development for women from a range of backgrounds – the main criteria is genuine ambition and commitment to empowering yourself and other women at Cass. The Programme launched with an exclusive masterclass on diversity with Cass alumnus Muhtar Kent, President, Coca-Cola Company (Administrative Sciences MBA, 1977). The event was a huge success and has been followed by events in London and Dubai on various issues that are prominent on professional women’s agendas. “Our events are focused on Cass women – past, current and future – but we look forward to building strong ties with businesses, societies, research institutions and regulatory bodies as we know these create an ecosystem essential for women’s success. Watch this space for further details,” she says. Watch Canan speak about the Programme in a short video from the Programme's most recent event, Respect at Work.